Jonathan S. Dabbieri focuses his practice on construction and real property litigation, as well as employment, creditor remedies, and insolvency. He has advised clients in the negotiation of construction contracts, the perfection, enforcement, and defense of mechanics liens, and other construction disputes. He also has advised in various real property matters, including purchase contracts, leases, easements, and other title issues. 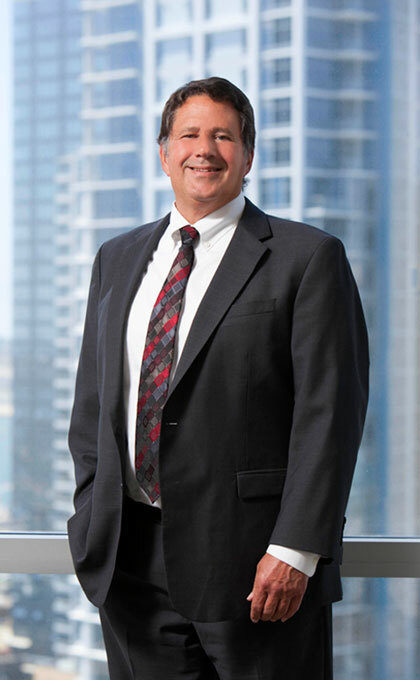 Mr. Dabbieri has tried a broad range of commercial lawsuits, including construction contract, lease, title and other real property disputes, as well as breach of contract actions. He has represented creditors, debtors, debtors in possession, and Chapter 11 trustees. As employment counsel, Mr. Dabbieri has advised employers on a wide range of matters, including discrimination, harassment, wrongful termination claims, wage and hour matters, and ADA compliance. Mr. Dabbieri was in the United States Navy Judge Advocate General’s Corps from 1976-1979 and was associate editor of the Indiana University Law Journal. He has an AV® Preeminent™ Peer Review Rating by Martindale-Hubbell and was named a Top San Diego Lawyer in 2015-2019 by San Diego Magazine. Mr. Dabbieri has lectured on bankruptcy issues at continuing legal education seminars sponsored by the University of San Diego and UCLA Extension and has been published in Turnarounds & Workouts. He has drafted employment manuals and contracts, successfully defended wrongful termination actions and suits for unpaid wages, and represented clients before EEOC administrative proceedings and in mediation. Mr. Dabbieri is a member of the California and Indiana bars and a former member of the American Arbitration Association’s panel of arbitrators. He currently serves on the Insolvency Law Committee of the California Lawyers Association’s Business Law Section.